Uniquely designed by Copenhagen-based Japanese designer Yukari Hotta, Kile furniture exemplifies modern simplicity and minimalism. 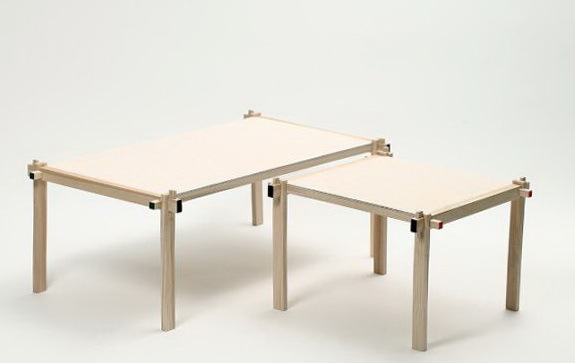 Kile is a practical, easy-to-assemble furniture system that can be built without the use of any tools or equipment – no nails, screws or glue needed. 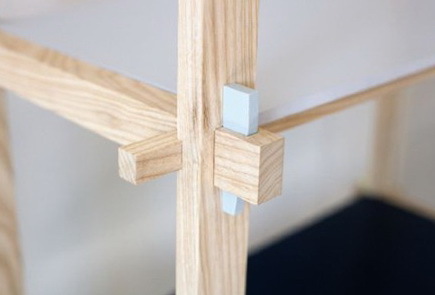 Simply lock the joints together with the provided wedge components. 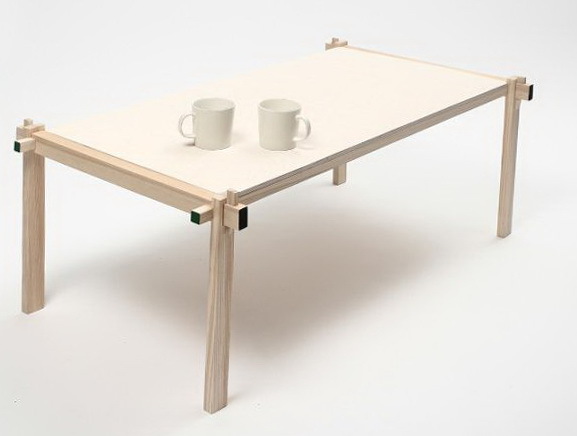 Its design speaks to simple yet stylish Nordic aesthetics. 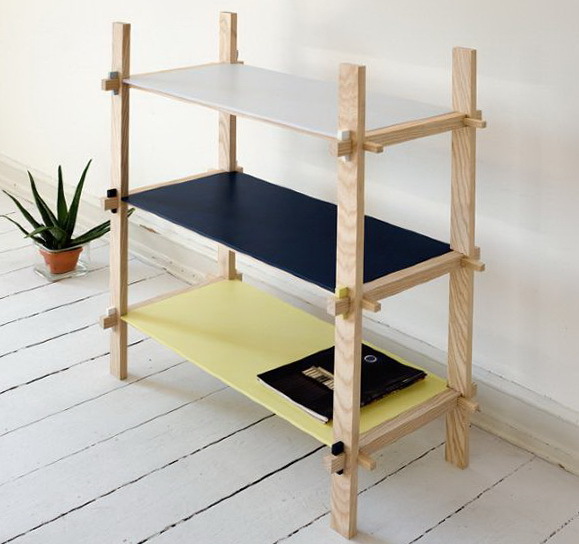 Materials used for Kile are made from eco-labelled wood boards, with neat lines and a delicately colored flat pack design. Using just a few wooden boards and some colorful wedges, you can build yourself a shelf or coffee table within minutes. For small spaces, they work great as reusable temporary furniture that you pack away when not in use.